Do you ask yourself Why wont my PC recognize my external hard drive. An external hard drive is an important computer peripheral that you can use in the storage of data that you may not wish to save in your computer. Besides, it can also act as a backup that you can use in accessing your files in the event that your computer encounters a problems that inhibits the display of data stored therein. However, it can be so disappointing when you realize that your PC can no longer recognize the hard drive. In fact, it can be very inconveniencing. This is a common problem that most people are faced with on a daily basis. 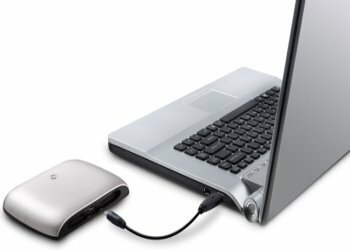 There are avenues that you can pursue in order to have your PC recognize the external hard drive that you are using. One of those that you should try is checking is the cables that are used in the connection of the hard drive. Ensure that they are securely connected as required. Besides, it is also important that you use try the connection using an alternative cable. This is because; at certain times the problem may be with the cables. After the connection, you should make sure that your drive is receiving the appropriate power. In case the above fail to work for you, you should look at the Disk Management. This is where you are able to view the connections of your computer to the external hard drive. From the panel, you will be able to see all the drives listed. In case the drive is not recognized, the problem may be as a result of the management. This will require you to set the drive. However, there are certain procedures that you will need to follow in order to manage the settings to suit your needs. In case you are still unable to find a solution, you can contact the manufacturer of the PC or find a technician to diagnose the problem and offer you the appropriate solution. Do you have a comment about this? Share it! Share it!